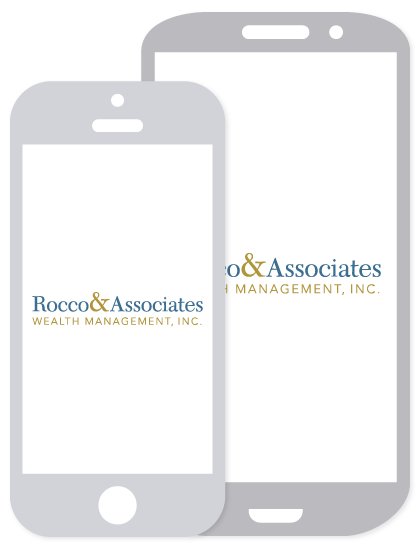 Market Outlook - October 2015 | Rocco & Associates Wealth Management, Inc.
For the week ending October 2, 2015 we witnessed the largest intraday rebound since 2011, major indexes finished the day, and the week, up more than 1% after starting the session down more than 1.5%. While the employment figures came in well below expectations, the data helped provide more clarity around the timing of a potential rate hike. The sectors hit hardest earlier in the week, notably energy and materials, led on the day, helped by gains in commodities including COMEX gold and WTI crude oil. Treasuries sold off steadily after an early rally, but yields still finished down 0.05% to end at 1.99%. Final tallies: Dow +200.36 to 16472.37, Nasdaq +80.69 to 4707.77, S&P 500 +27.54 (+1.4%) to 1951.36. For the week beginning October 5, 2015, U.S. stocks are poised to build on Friday’s advances after employment data, though disappointing, is convincing investors that loose monetary policy will likely continue through the end of the year. U.S. sentiment spilled into Europe and Asia, with markets there logging impressive gains in Monday sessions. In Asia, Japan’s Nikkei finished up more than 1.5%, while China remains closed for a national holiday. European equities are also rallying more than 2% midday. Elsewhere, ongoing declines in the U.S. rig count is fueling gains in oil, while risk-on trading is weighing on gold and Treasuries, driving up yields. Eurozone retail sales exceed expectations in August, and July revised higher. Retail sales in the Eurozone rose 2.3% year over year in August, exceeding expectations of a 1.7% increase, but decelerating from the upwardly revised 3.0% year-over-year reading in July. Sales in Q3 are running 2.5% ahead of their Q2 average, keeping the Eurozone economy on track to accelerate in Q3 and add to global growth. The Eurozone’s economy is the same size as the U.S. economy and 15-20% of U.S. exports head to the Eurozone. Week ahead. 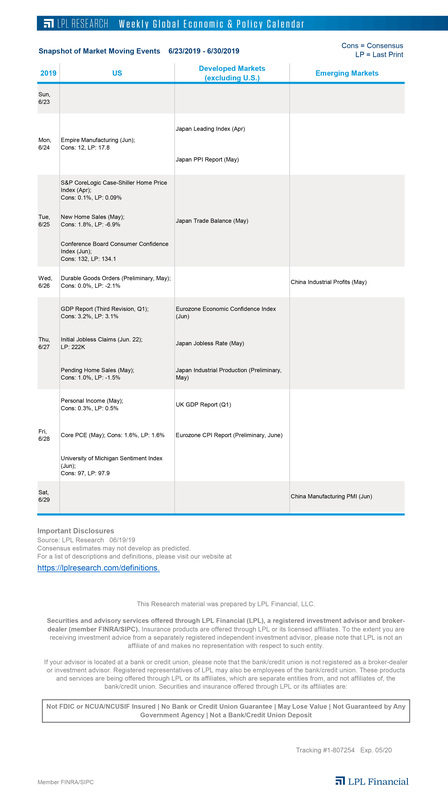 The release of the minutes from the September 16-17 Federal Open Market Committee (FOMC) meeting highlights this week’s global economic and policy calendar, although the latest World Economic Outlook from the International Monetary Fund (IMF) and monetary policy decisions from the Bank of Japan and the Bank of England will garner plenty of attention. As is typical the week after the jobs report, the U.S. economic calendar will be light, with the service sector Institute for Supply Management (ISM) for September and the August trade data the key reports. Overseas, European Central Bank President Mario Draghi speaks this week, as the market digests August readings on industrial production and retail sales in the Eurozone. China will begin to release its September data toward the end of the week. Q3 earnings season to look at lot like Q2. It looks like we will get the same meager earnings growth as in Q2, if we get any at all. The media will again tout an earnings recession. The big headwinds from energy sector weakness and a strong U.S. dollar remain. And the big overseas worries are again unlikely to have much impact on earnings overall–though they will garner attention–as business conditions in the U.S. outside of the energy sector are pretty good. Several things make this quarter interesting, however, including the sharp drop in the stock market leading up to it. Consumer discretionary and healthcare look particularly well positioned for a relatively strong season, as discussed in this week’s Weekly Market Commentary, due out later today. Risk-on Risk-off: An investment setting in which price behavior responds to, and is driven by, changes in investor risk tolerance. Risk-on risk-off refers to changes in investment activity in response to global economic patterns. During periods when risk is perceived as low, risk-on risk-off theory states that investors tend to engage in higher-risk investments. When risk is perceived as high, investors have the tendency to gravitate toward lower-risk investments. Treasury inflation-protected securities (TIPS) help eliminate inflation risk to your portfolio, as the principal is adjusted semiannually for inflation based on the Consumer Price Index (CPI)—while providing a real rate of return guaranteed by the U.S. government. However, a few things you need to be aware of is that the CPI might not accurately match the general inflation rate; so the principal balance on TIPS may not keep pace with the actual rate of inflation. The real interest yields on TIPS may rise, especially if there is a sharp spike in interest rates. If so, the rate of return on TIPS could lag behind other types of inflation-protected securities, like floating rate notes and T-bills. TIPs do not pay the inflation-adjusted balance until maturity, and the accrued principal on TIPS could decline, if there is deflation.